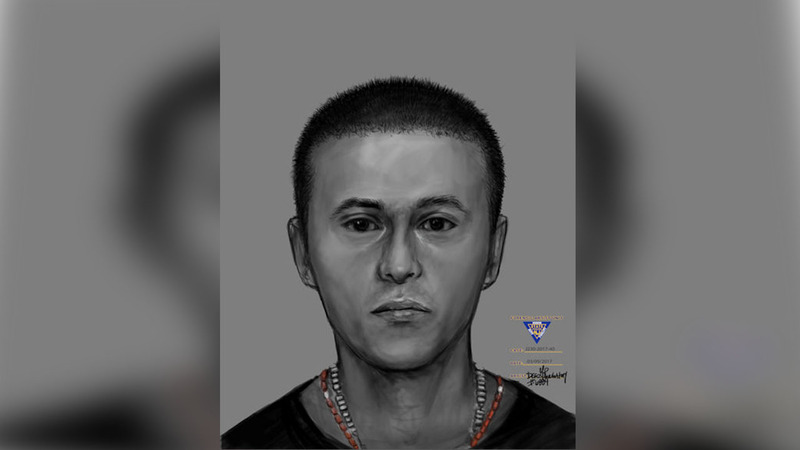 MIDDLESEX COUNTY, New Jersey (WABC) -- Authorities are seeking the public's assistance with identifying the deceased man in the composite sketch. In August 2016, the Perth Amboy Police Department reported that an unidentified individual had been discovered in a wooded area near the intersection of Herbert Street and Riverview Drive. Officials say the forensic examination revealed the man is between the ages of 25-35 and between 5'2" to 5'5". Anyone with information as to the identity of this individual is asked to contact Det. Joseph Chesseri of the Middlesex County Prosecutor's Office at 732-745-3115 or Det. Jose Rosario with the Perth Amboy Police Department at 732-324-3811 or DSG. Joel Trella of the New Jersey State Police Missing Person Unit at 609-882-2000 ext. 2554.